Ilise Sorele’s book Power to the Papal is dedicated by the author herself to all the truth seekers from around the world. Falling into the category of religion and conspiracy theories, it could actually be a treat to anyone who is interested in either of these topics. This book is the result of 10 years of Bible research which eventually lead to a coherent personal line of thought that remains strong throughout the pages. The book covers the coming of the end times, as deciphered from the Bible. While systematically going through the prophecies, the author does not only present her interpretation of the events, but also showcases paragraphs of the original text. Above all else, we are warned by the peril posed by the rise of Papal Rome. In this context, the author turns a hopeful eye towards ChurchX, identified as the true church of our times and of times to come. However, she uncovers aspects well hidden by members which contradict the goal and doctrine on which the religious foundations were built. Confrontation with a harsh truth can often bring on an awakening which was also the case here. Driven by a desire to move closer to the truth and salvation, Ilise Sorele dwells deep into the realm of prophecies. Oddly enough, when an author subtitles his book it is often more about the author then the book. However, McCullaugh here declares this to be a “Psychological, Religious and Historical Novel,” he is not being disingenuous. This story is well researched and well documented. It is a tribute to the author’s dedication and abilities in research and correlation of large amounts of data and information. The author provides source references and other interesting information at his website, Chanting the Feminine Down. Chapman is writing an epic series about a mystical land of creatures, humans and many beings in between. The premise is worked out in the Act 1 of the Acts of the Sojourner. Pious is an officer and head of the organization that provides some of the warriors for one group of the large city, Sanctuary. Act 1 is apparently all about his adventures as he sees his life changed from one of order and structure to one of chaos, trouble and loss. Sanctuary’s politics are very subtle, stressed and with many machinations going on in all levels of existence for the people who abide there. There are Four Focal Towers that rise above Sanctum the center of Sanctuary. There are many factions, many of which are basically at war with each other in and outside of the houses of government and throughout the districts of this city. There are numerous maps, illustrations and sayings that flesh out a campaign environment. All of the action and plots come from almost random directions. The plots interweave and twist and turn without apparent guidance. This goes on throughout the book and this is the first Act. There can only be a sense of wonder at the imagination that spawns such a complex and convoluted tale. Mock My Words is comprised of three storylines. Each one of them is interconnected with a plot that involves a renowned author by the name of David Tan, who left China to live in the United States. The main storyline not only revolves around David’s struggles and challenges as a new teacher at John Steinbeck University in Northern California, but also portrays the stress and anxiety that David experiences while trying to survive a rough patch in his marriage. The secondary storylines involve David’s wife, Laura, and Melissa, a student at the university. David is worried and nervous about whether or not the students in his writing course will accept and respect him. This dilemma is due to the disconnect between his writing and his speaking. Although David writes beautiful prose, he speaks English very poorly, which makes it difficult to communicate with people. Even though he wants to share his love of classical literature with his students, they are ill-mannered and rude towards him. It does not get any easier for him when some of his colleagues rebuff him. In addition to work issues, whenever David is at home, he always feels that he has to tread carefully around his wife’s feelings in order not to upset her and possibly ruin any chances at intimacy. Who is today’s American Jew? Joseph Rotenberg styles himself as a modern-day maggid (traditional Jewish storyteller), weaving tales from the everyday to the fantastic, each one bringing the reader a slice of the American Jewish experience. Just as Sholem Aleichem did more than a hundred years ago in his famous stories describing Russian Jewish life, these tales inform and entertain by uncovering little-known events and personalities that have impacted the American Jewish world. In the 1950s, the late Harry Golden, in his popular collections Only in America and For Two Cents Plain, introduced Jewish culture to many non-Jewish Americans. Joseph Rotenberg’s work updates that vision to depict the contemporary, modern American Jew who is today increasingly as much at home in the halls of the Ivy League, the corridors of power in Washington, the corporate boardroom, and the theater as he is in the beit midrash and the synagogue. 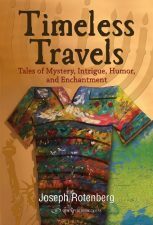 You’ll laugh, cry, and wonder as you travel through Joseph Rotenberg’s incisive and at times laugh-outloud funny collection of tales. There are so many stories regarding the events of September 11, 2001. Some are told by the family members who lost loved ones on this day and others are told by the survivors. The stories are very sad; but, at the same time, they are all unique and very intriguing. It’s difficult to imagine what the relatives and friends of people who were killed on September 11 went through at the time and for the years that followed this terrible assault on America. Jennifer Sands tells us her personal story. She met her soul mate, Jim, through a dating service. The two were surprised that they went to the same school, lived in the same town, etc. but never met each other. They got married. Jennifer worked as a pharmacist and Jim worked for Cantor Fitzgerald at the World Trade Center. They enjoyed a few short, wonderful years together. They both had a love for Scuba diving in the Cayman Islands. There is nothing common with this novel. The characters are introduced and developed throughout the story because they change from what they were at the beginning into what they become at the end of the tale. Cullen Brodie is an accomplished and successful nephrologist. He has spent his life working to save people’s lives when their kidneys fail. He has helped hundreds of patients to live longer and also found replacement kidneys for many of those patients. He now encounters a specific patient that he has never encountered. Thomas Lawson is the chaplain in the hospital where Cullen practices. There is a problem with these two, because Cullen is an avowed active atheist. He is good at what he does and doesn’t believe that God is involved at all in the process. Now comes into Ennis Willoughby. He is a patient doing dialysis regularly to prolong his life until, if and only if, a donor is found. He is 63 years old. He is a crossdressing transgender male trying to identify and reconcile with the female that lives within him all the time. Initially, he was considered ineligible for transplant because of psychological difficulties. But after counselling he is reconsidered. The Proof That God Exists by the highly talented author and scientist, Mauricio Riguette Mediano, Ph.D., takes a look at scientific evidence and explains in a way that laymen can easily understand that science can be used as evidence to prove the existence of God. Mediano organizes the book, subtitled “The solution of a puzzle spread through sciences and other disciplines of human knowledge,” into short, succinct chapters summing up the proof offered by various scientific disciplines that explains how the creation of intelligent life on Earth cannot be chalked up to simple coincidence. There must, Mediano argues, be a Creator, a God, behind science and behind the creation of humans on our planet. Everything involved in establishing the extremely specific conditions under which intelligent life can evolve and be created in the first place makes it almost impossible that it could happen without there being a God involved. Mediano makes the case that the conditions intelligent life occurred on Earth are unique, and he uses science to establish that the likelihood these specific conditions could have occurred anywhere else is very slim. Everybody dreams, but most people forget their dreams soon after they wake up, not realizing that some of their dreams might be a direct means God is using to communicate to them. Author Manny Dean Fernandez has written Wake Up – God’s Talking to You, an inspiring guide designed to help people remember their dreams and interpret them, to discover what God might be trying to tell them. Wake Up – God’s Talking to You is not a regular sort of dream interpretation book in which dreams can potentially mean any number of fanciful things; rather, it is a look at the importance of dreams in an entirely different light. Dreams can be viewed as one of the many ways God attempts to convey meaning to the lives of His creation, as Fernandez does in his enlightening book. August 13, 2013 Religion/Spirituality, Teen/Young Ad. What is the true nature of reality? How do our notions of self reality and spiritual reality influence our behavior and how we interact with others? 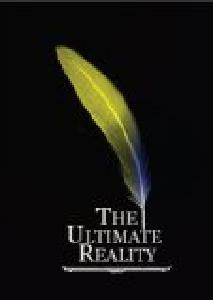 In Gian Kumar’s third book, the intensely interesting and thought-provoking look at reality that he’s titled The Ultimate Reality, the author takes an in-depth exploration into what “experiential awareness” is, and into what the ultimate reality is for each of us. Kumar’s previous two books showed that, in spite of material and digital comforts in the world today, we are still living a life made up of dualities, such as happiness/unhappiness, good/bad, God/devil, all of which exist side-by-side. Even when we follow the spiritual teachings of gurus or other sorts of “masters” at presenting life lessons or spiritual truths, we do not gain the solace we sorely desire. We still experience the feeling that there is something missing in our lives. The mind, with its constant chatter and habit of delving into past experiences and anxieties about the future, does not allow us to live in the present moment and be aware in the ‘now’. By the time our mind can register it, there is already a new ‘now’ which has taken its place. In The Ultimate Reality, Gian Kumar brings us to a realization about what the deeper existence is that we are searching for. Through experiential realization and higher consciousness, we can centralize both extremes, and ultimately realize a sense of oneness with the universe.